Crafts are a common activity you’ll see in our house, whether it’s painting, building or creating. One of the kid’s favroite and mine too, are creating things with perler beads. 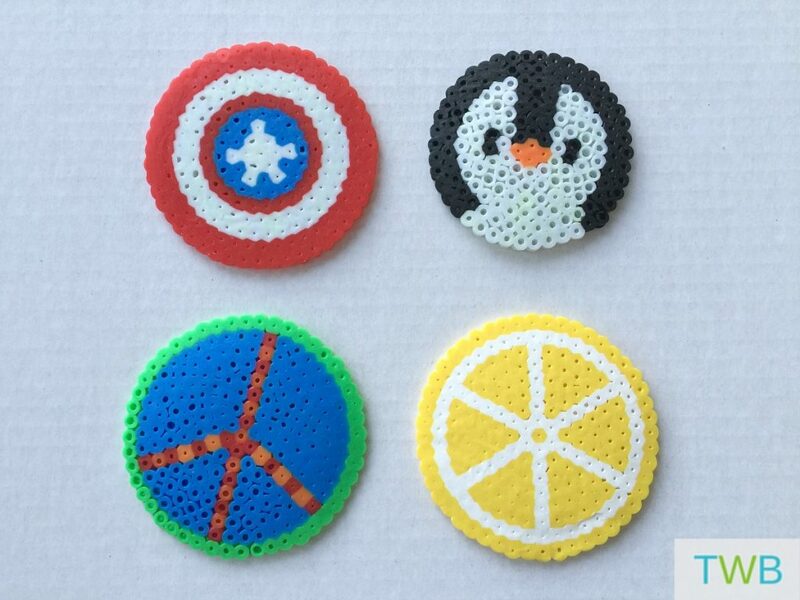 Today I thought I would share 5 of our favourite Perler Bead Ideas. You’ll need special bead boards and beads that you can pick up at Ikea or Michaels. Once you make your bead design or project, you’ll place wax paper on it and iron it on each side until the beads are stuck together. I had to share this because it’s actually the first one the kids made. We found the image on Pinterest and just followed it line-by-line. The kids still play with the bead phone, more than a year later. 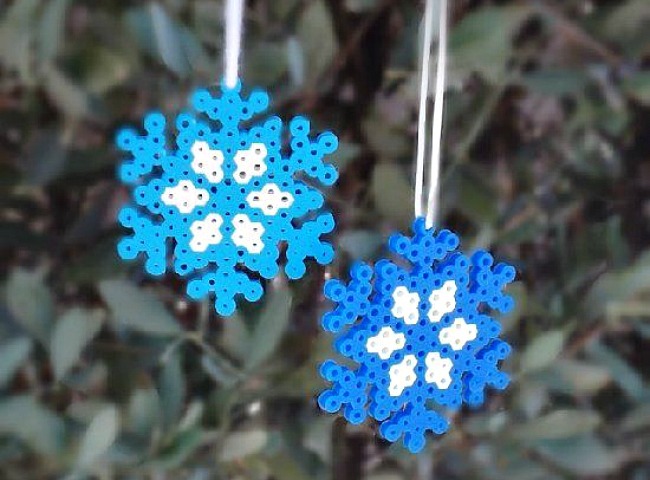 It’s one of our favourite perler bead ideas. There are countless options for coaster designs when using Perler beads! You can make fruits, animals, super heroes, the list is endless. And not only are they fun to make, they are useful after the fact. A set of bead coasters would even be a nice gift idea! I know Christmas is still four months away, but a great activity to do with the kids is making homemade ornaments with the kids. It’s so easy with perler beads and there are so many different options. 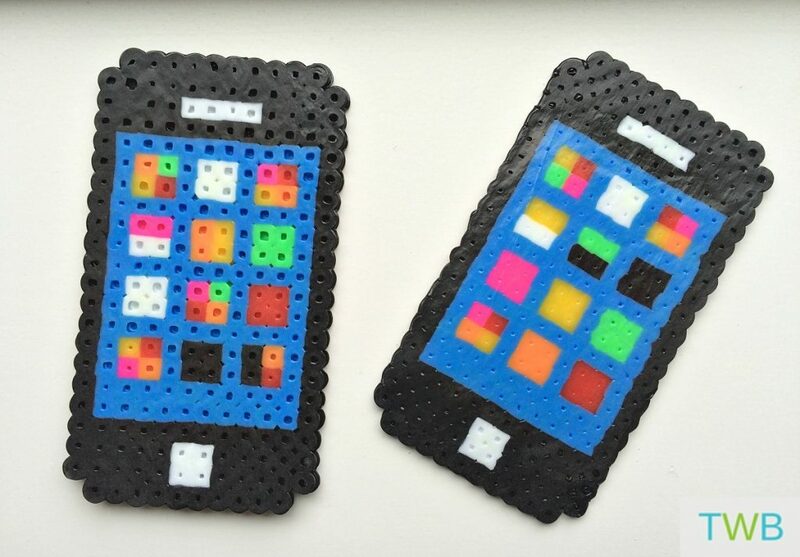 If you have earbud headphones, you know that the wires can easily tangle up, so this perler bead craft is a great way to store your earbuds in a fun way! And for the last of our perler bead ideas, if you kids are into the pokeman, then they’ll love to create any of these perler bead pokeman patterns! You can make big ones and small ones. My kids have quite a few in their collection. These are just a few of the Perler Bead Ideas that we like an that we have made. For more ideas, check out our pinterest board and have fun creating! Love these ideas – I used to love this craft as a child and can’t wait to try this with my nephew! I never knew about this one! How cute! Love all of them. 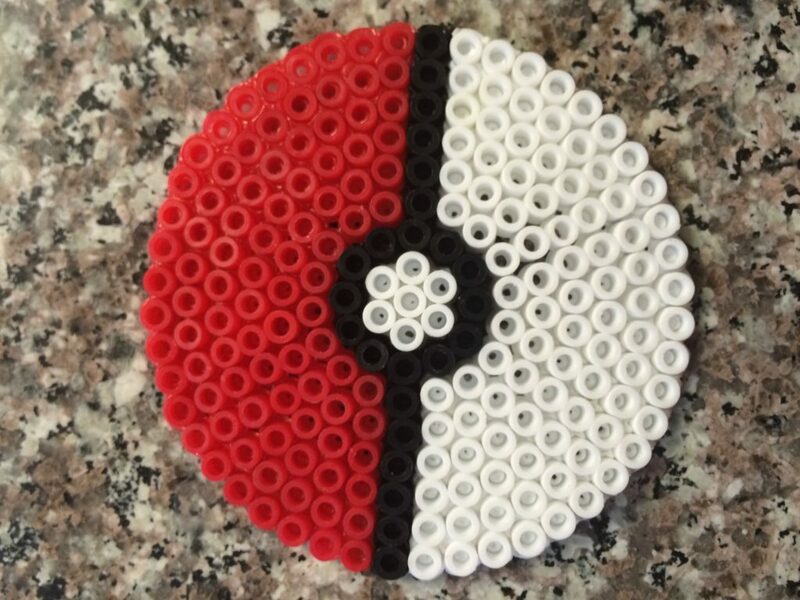 The pokemon and bead coasters are my favorite! They are so fun and easy Richa! Love all these ideas Salma! These beads are perfect for kids of all ages. My kids have been playing with them for years and with older & younger friends. 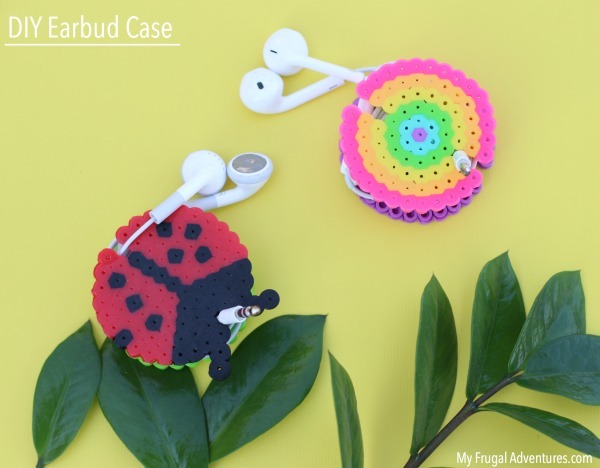 That earbud case is super cute!